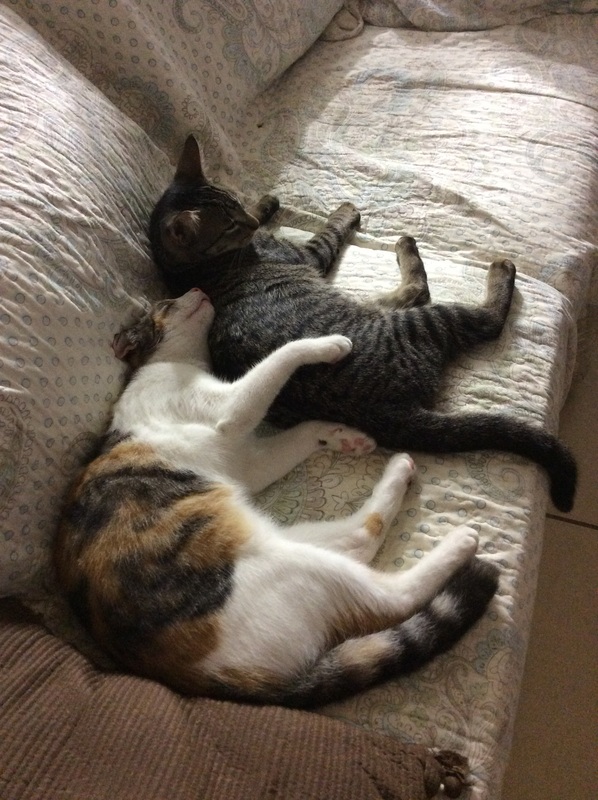 If I had taken the time to get out my Good Camera, or even my cell phone, I would not have been able to catch the kitties in such a loving position. The striped one may be 3 months younger, but he’s bigger and much more gentle. On the other hand, she has been the epitome of patience in teaching him about his new home and trying to get him to join her outside. Truly Besties. I actually like this photo because it hides some of the tourist debris (empty plastic tea and water bottles, empty beer cans, other non-degradable debris). 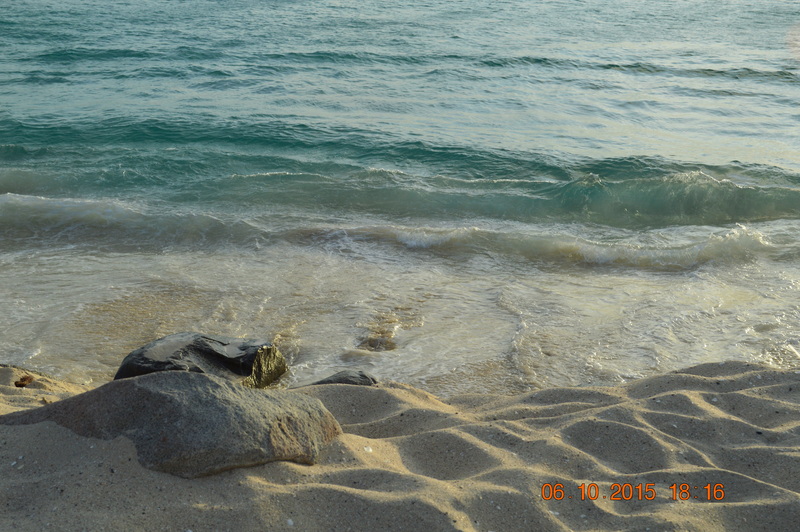 I also like the way the sand demonstrates a bit of the movement it went through during the long hot day.